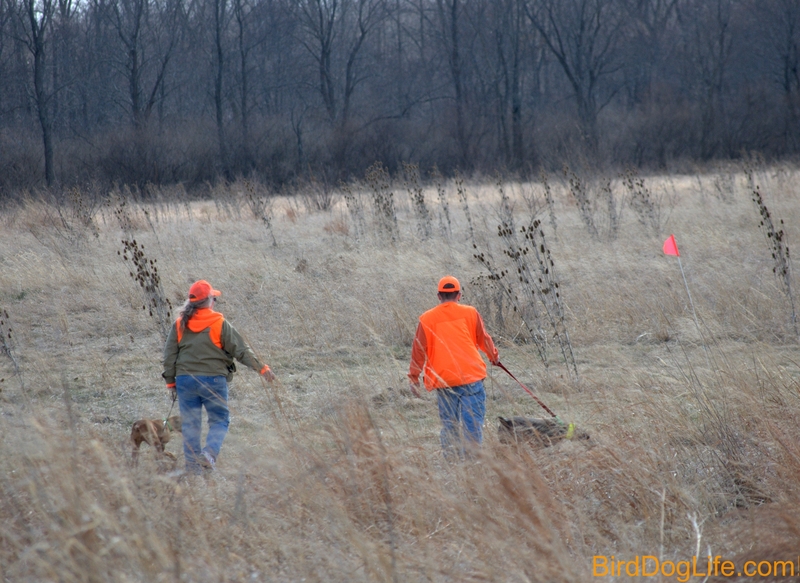 Hunt Test Season is in Full Swing! 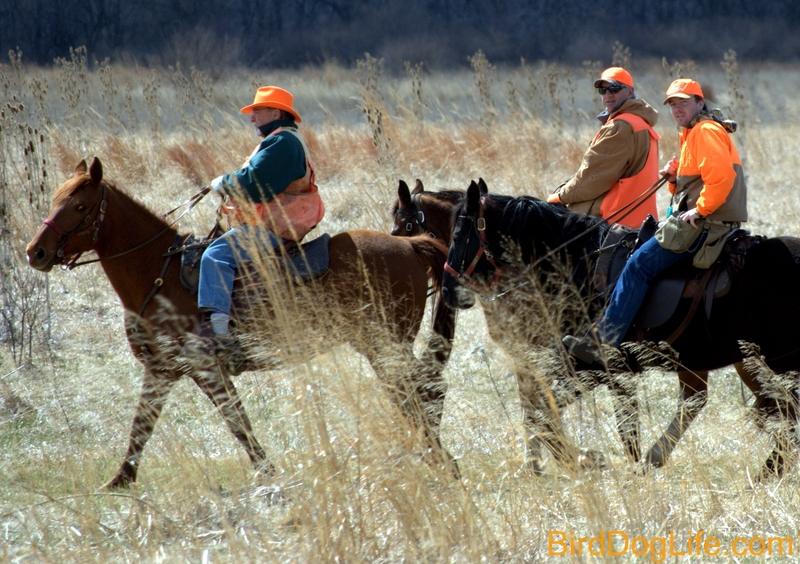 You are here: Home / Bo / Hunt Test Season is in Full Swing! 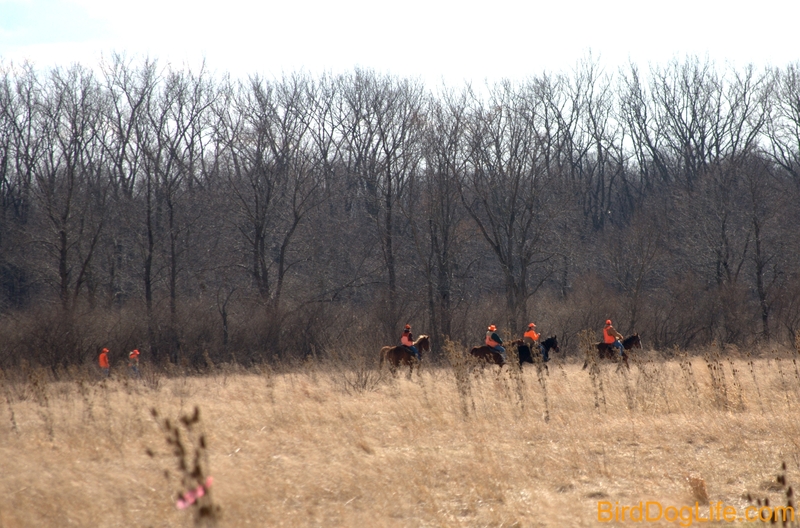 That’s right… Hunting season has been over for months. 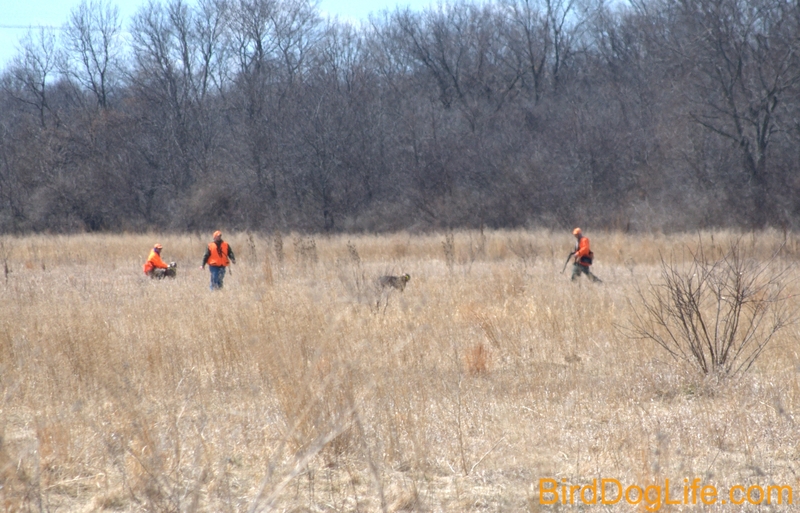 The snow has melted and everyone is itching to get outside. 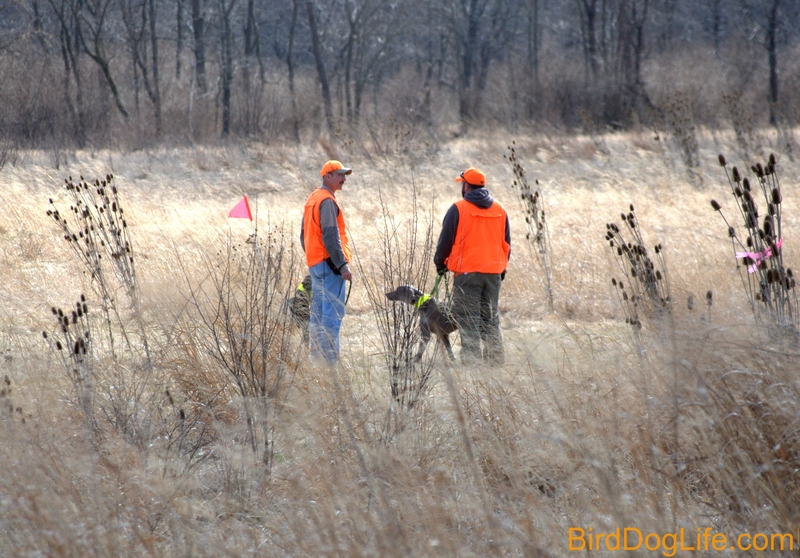 What better way to enjoy some nice spring weather than to take your dogs hunt testing? 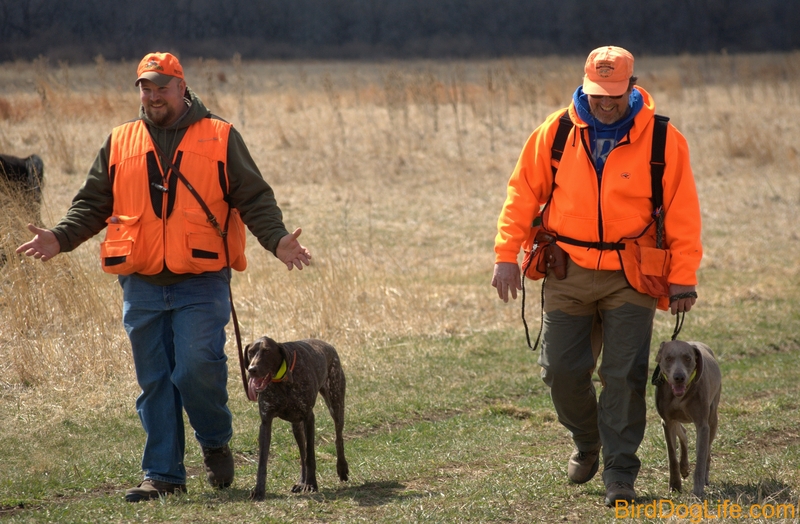 A couple weeks ago we took both Bo and Raven to the German Shorthaired Pointer Club of Illinois AKC hunt tests at the Des Plaines state fish and wildlife area. 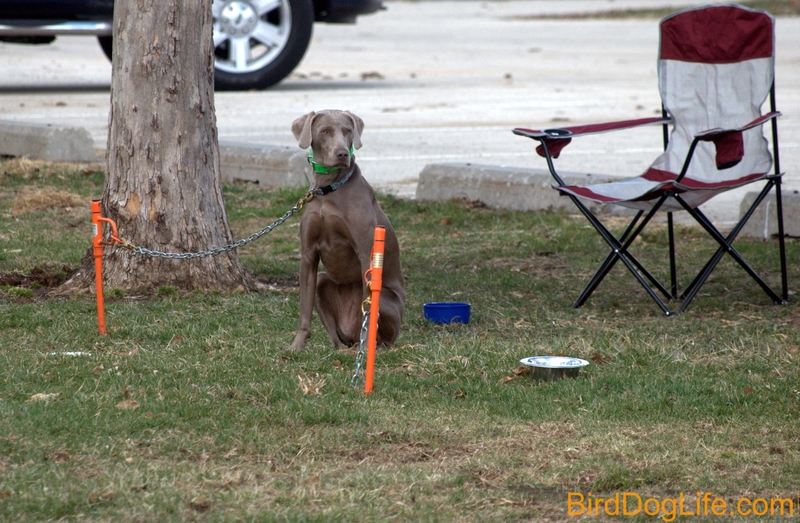 Both dogs ran for and completed two of the four legs necessary to earn their AKC Junior Hunter titles! 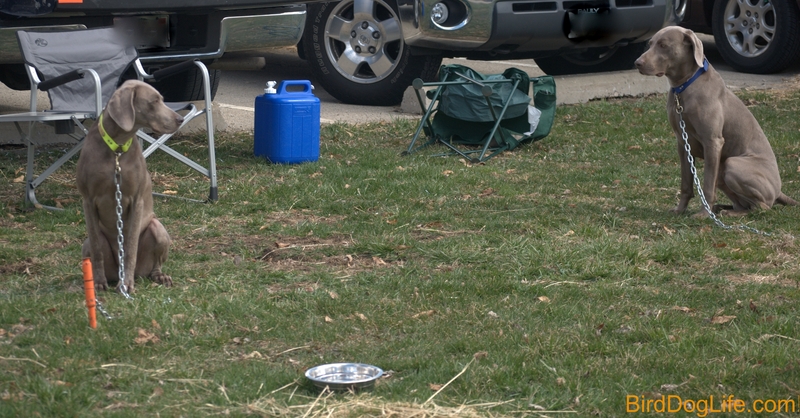 The weather was typical Midwest spring time weather. Saturday was pretty nice; Sunday however was another story! The forecast was for rain and wind. As it turned out aside from some threatening clouds and a grass fire late in the afternoon that made the air heavy with smoke the weather held. 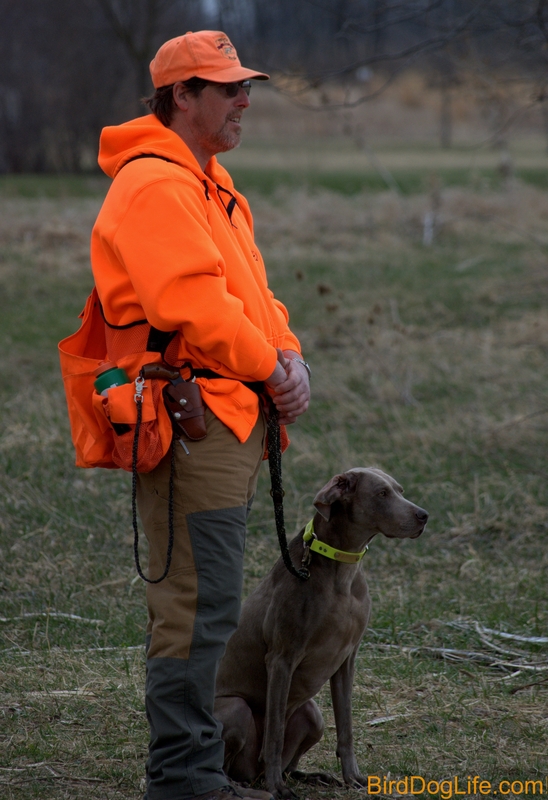 The test was sponsored and conducted by the German Shorthaired Pointer Club of Illinois.